Pakistan on Wednesday condemned a US decision to add it to a list of nations that infringe on religious freedom, calling the move "unilateral and politically motivated." Ariana News Agency – Secretary of State Mike Pompeo added Pakistan to the US list of “countries of particular concern” regarding protection for people to worship according to their beliefs. It was previously on a special watch list. The downgrade would expose Pakistan to potential American sanctions, but Mr Pompeo waived those penalties, citing US national interests. The US said the decision to downgrade Pakistan was largely the result of a law that prescribes death for blasphemy against Islam. The mere rumor of insulting Islam can spark lynchings in Pakistan. In October, Pakistan’s Supreme Court acquitted Asia Bibi, a Christian woman who had been on death row for eight years after being convicted of insulting the Prophet Mohammed, charges she denied. The court upheld the blasphemy law but said there was not enough evidence to convict her. Her release sparked days of mass protests and violence by religious hard-liners who vowed to kill her. She is under tight security at an undisclosed location, and is expected to seek asylum in another country. Authorities arrested Khadim Hussein Rizvi, the cleric behind the protests, in November. The ministry said an independent National Commission on Human Rights addressed concerns over violations of minority rights and that successive governments in the Muslim-majority nation had made the protection of minorities a priority. 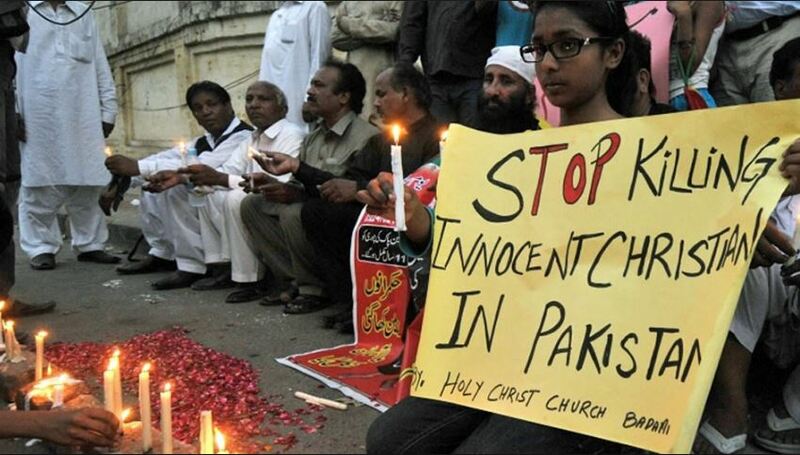 “Pakistan does not need counsel by any individual country how to protect the rights of its minorities,” it said. The Trump administration has had tense relations with Pakistan, which it says has failed to combat the Taliban and other extremist groups that attack US forces in neighboring Afghanistan, charges rejected by Islamabad.